The manuscript "Step Into Magic" is currently under editorial review. Please check back for an update. 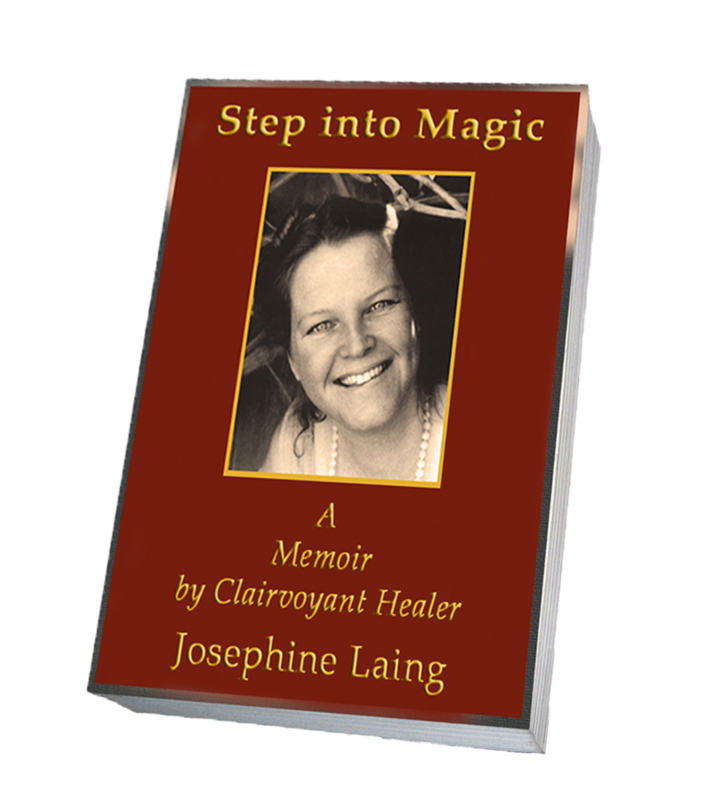 Step Into Magic narrates the enthralling story of how, through a series of devastating injuries, Josephine finds her clairvoyant abilities arising within her. Almost on the point of death, she is compelled to finally accept her calling as a medical intuitive. For the next thirty years, she helps people from around the world to heal from hard-to-diagnose and chronic health issues. She does this work in secret, until she receives a message from Nature that it is time to share her experiences. She then offers classes on developing psychic ability, deepening spirituality and finding ones calling in life to the general public. She also writes her first book. Josephine's captivating account of the unfolding of her psychic ability carries with it both a courageous and an eloquent voice that fills you with wonder and a sense that all is right with the world. Comfort and solace are found in the stories where personal insights help us to see our challenges as blessings and let us step into the magic of our lives. An exceptional storyteller, Josephine Laing uses her life experience to encourage and inspire us all to develop our own psychic abilities. With her guidance, we learn to sense and appreciate the sacred in the secular. As we journey with her into the magic and mystery of worlds unseen, we share her vision of peace as a real possibility and potential for the human family now. Josephine's story, simply and touchingly told, shares just the wisdom the world needs now: a window into the depth and possibility of everyday life and an invitation to join her in experiencing it. When I read the material, I was completely bowled over. It is so beautifully written and full of love, yet it retains an utterly compelling and absorbing quality that opens a door to the deepest mysteries of being. Josephine Laing's brilliant account of the unfolding of her psychic ability carries with it both a courageous and an eloquent voice that fills you with wonder and a sense that all is right with the world. I loved it.